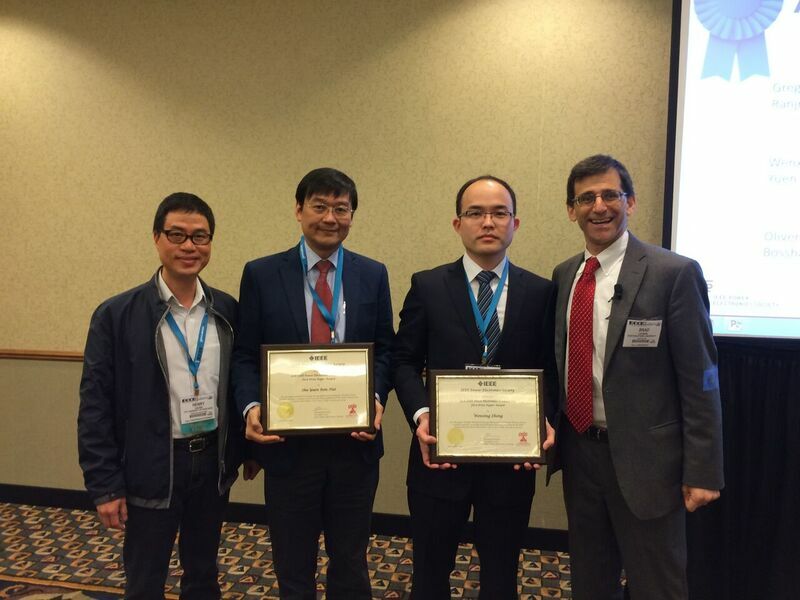 “The IEEE Power Electronics Society has honored Professor Ron Hui and Dr. Wenxing Zhong with the 1st Place IEEE Transactions Prize Paper Award for their article entitled: “Maximum Energy Efficiency Tracking for Wireless Power Transfer Systems” published in 2015 in the IEEE Transactions on Power Electronics, which is the most prestigious professional journal in Power Electronics. Out of 654 papers published in 2015 in the IEEE Transactions on Power Electronics, the Editorial Board selected the research paper by the HKU team for this prestigious Prize Paper Award. The Award was received by Professor Ron Hui and Dr. Wenxing Zhong on 21 September 2016 in the IEEE Energy Conversion Congress & Exposition held in Milwaukee, USA. High quality is the prominent priority of the Electrical Energy Systems Research Group at the Department of Electrical & Engineering, the University of Hong Kong. Professor Hui’s team has received four 1st Place IEEE Transactions Prize Paper Awards from the IEEE Power Electronics Society in the period of 2008-2015.